New Olds – Design between Tradition and Innovation explores the relationship between tradition and innovation in contemporary design around the themes of materials, construction, configuration, production, and traditional use. 57 designers and design teams from Germany, other European countries, USA and Israel enter into an intensive dialogue about aspects of the “new” and the “old” in a range of objects and groups of objects. These combine traditional methods in products meant for contemporary consumers. Six years back, when the German designer and curator Volker Albus, visited India for the first time, its abundant craftsmanship and rich tradition inspired him and the idea of the exhibition New Olds took its genesis. Observing that many designers from countries such as India look towards the west for inspiration, he realised there exists a much deeper tradition which is often forgotten. The products on display in the exhibition reveal that innovative inspirations can be connected to traditions. Many of the design motifs that are depicted as “new” actually derive from an historical context and existing idiom of one country or culture but represent a new interpretation of traditional forms. The New Olds exhibition aims to show the international and complex nature of this discourse in contemporary design, with works inspired by historical references and symbols ranging from deer antlers to the cuckoo clock, traditional porcelain, Baroque objects and the more recent history of Bauhaus and Memphis. 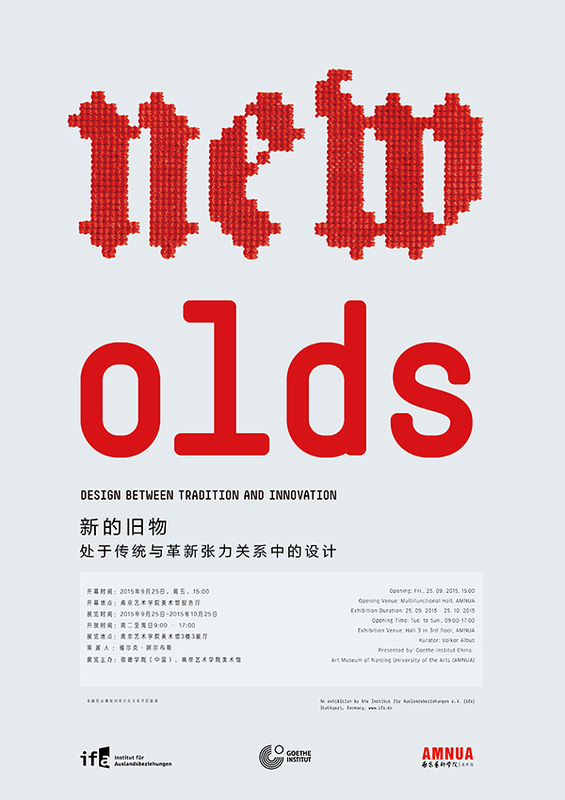 New Olds looks at aspects of the “new” and the “old” in a range of objects and groups of objects, discusses differences and new combinations, presents trends in recycling and redesign, and looks at the transformation of design classics and traditional ways of using new materials. Design has a short and highly successful history in the West. It quickly became a key feature of a collective understanding of culture, and is correspondingly appreciated and communicated. Outside the western hemisphere , what are seen as successful idioms are copied and varied, but many of the motifs that are sold as “new” actually derive from a historical context and formal idiom, and are self-contained products of one country or culture, representing a new interpretation of traditional forms. Courtesy of the artists and Art Museum of Nanjing University of the Arts, for further information please visit www.nuamuseum.cn.